West Park Asylum was a large psychiatric hospital in Epsom, Surrey. The hospital was designed by William C Clifford-Smith (architect to the London County Council), who was also involved in the design of nearby St Ebba's Hospital. 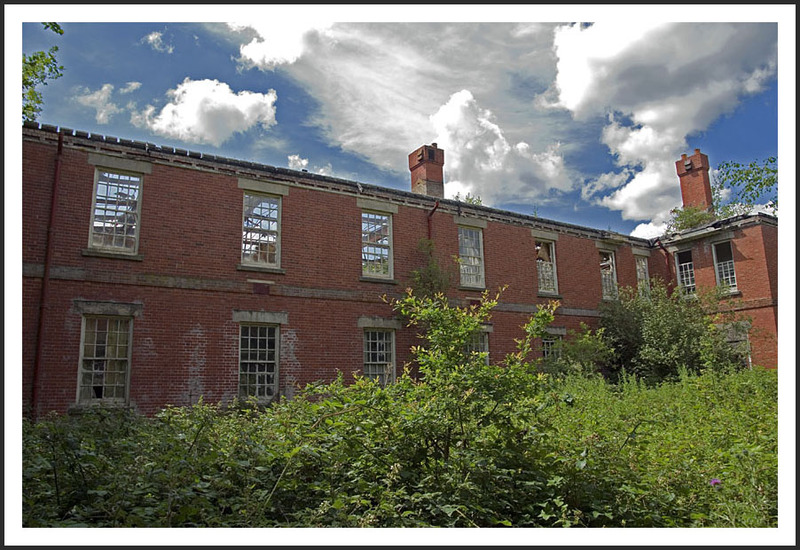 The hospital was slowly run down from the mid 1990's, and by 2003 most of the hospital was closed and derelict. In those days it was as easy as walking onto the site for a look around but then everything changed. The first time I went security was really tight. Getting in was very hard and moving around even harder and nobody really wanted to give away how it was done. By the end of our explore I was feeling exhausted, the whole experience reminding me of a real life version of Tomb Raider. We didn't really see very much of the hospital and ended up being chased off the site by a security guard who went by the nick name of MC Hammer, as he always carried a hammer with him, which he used to nail down planks of wood over ANY possible way in. That guy loved his job. After my first trip, as the months went by, the general consensus in the urbex community was that it was just too hard to do anymore with practically every access point nailed down or bolted shut. Still, hard didn't mean impossible and with that in mind, we went for a second trip. When we got there we spoke only in whispers and found to our disappointment all the usual access points closed. As we carried on we became more and more brazen in our attempt to get in, thinking, oh well if we're caught we're caught, at least we have given it our best shot. Finally we luck out and we get in. Moving like stealth like wraiths (lol) we covered most of the East Westerly area systematically exploring each ward we could get into. By the time we had been there for about three hours I was beginning to think we are either being incredibly good at evading security or there is no security here. I think we spent a good five hours exploring eventually leaving unharassed. I later found out, probably a week or two before our second visit, that the whole site had been sold on, most likely for redevelopment. The present owners just don't appear to be quite as stringent in securing the site as the previous ones, which has been confirmed by the prolific amount of reports on West Park appearing on various urbex forums recently. So, by the third time we went it was more like a pleasant stroll taking in the remaining wards to the North East of the site. The site is now demolished.